Interning at VocaliD was definitely more than I expected it to be, and I was able to achieve my learning goals. The summer between my penultimate and final year was the perfect time for this opportunity, and I’ve come out of it with a greater sense of clarity when it comes to career paths I can pursue after graduation. A huge part of this was my career-specific goal of exposing myself to programming and its role in linguistics and speech science. For the past couple years at Brandeis I’ve considered more and more the option of pursuing further education in computational linguistics, and have become more interested in topics related to the field. 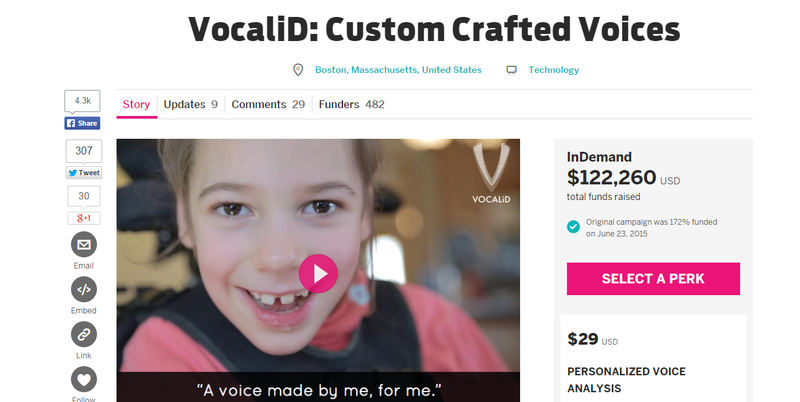 The central role of speech science and text-to-speech technology in VocaliD’s work resonated with this interest, and has been all the convincing I need that this is a viable industry to attempt to enter in the coming years. To another student looking for an internship at VocaliD, I would say this: be prepared for a fast-paced, interdisciplinary environment, and get ready to work with people of all calibers from all sorts of backgrounds. On more than one occasion there were company advisors in the office – often for advertising – and every one of them wanted to hear the opinion of the interns. Rather than sit back and simply absorb knowledge from experienced professionals, we were allowed to engage with them and be taken just as seriously. This sort of open-mindedness could be an industry thing, or, more probably, due to the nature of small start-ups. There is a sense of urgency to everything that reinforces the “team” environment, requiring different, multi-faceted tasks from us on a daily basis. For this reason it felt very demanding, in a good way. The advice for somebody doing work for a tech start-up like this would be essentially the same, but phrased differently: the work you do is important, just as important as everyone else’s. This was by no means a “fetch coffee for the office” internship. Working for a company with a social mission was generally very rewarding. The effect we were having on people’s lives was so tangible, especially so when Samantha, a previous recipient of a VocaliD voice, came in to visit us at the office. Being able to see the difference in her regard for her old, generic voice and her new VocaliD voice put it in perspective how necessary the product is. And while my work this summer will go into voices that will be finished months from now, I am still proud to have participated in their creation. There are also customers awaiting their VocaliD voice currently (like Maeve, pictured above), and getting to see them receive it in the future is something I’m very excited for. Despite getting settled in a little more at VocaliD, my excitement about being here this summer hasn’t changed. It continues to be an interdisciplinary, dynamic environment, and though my central roles haven’t changed much, the details and everyday tasks vary from day to day, making it an always-interesting place to be. For a few weeks now, I have also been joined by another summer intern. The two of us work closely on some tasks and separately on others. Our crowdfunding campaign ended its initial phase this week, marking a critical point for both the company and my summer. The campaign was largely a success, raising nearly twice as much as the initial goal, bringing in troves of new customers, and solidifying the coming timeline for VocaliD. For most of July, I’ll be doing more or less the same work as before, but applied towards the fulfillment of “perks” bought by customers on Indiegogo. This week and next, we have a special visitor. Samantha Grimaldo was among the earliest recipients of a VocaliD voice, and an important pioneer in bringing the technology to market. We’re working with her to become more comfortable using her device to speak in public spaces, and documenting the process for a short video piece. Sam, who has much to say, made a few contributions to a new Tumblr page we’ve put up. 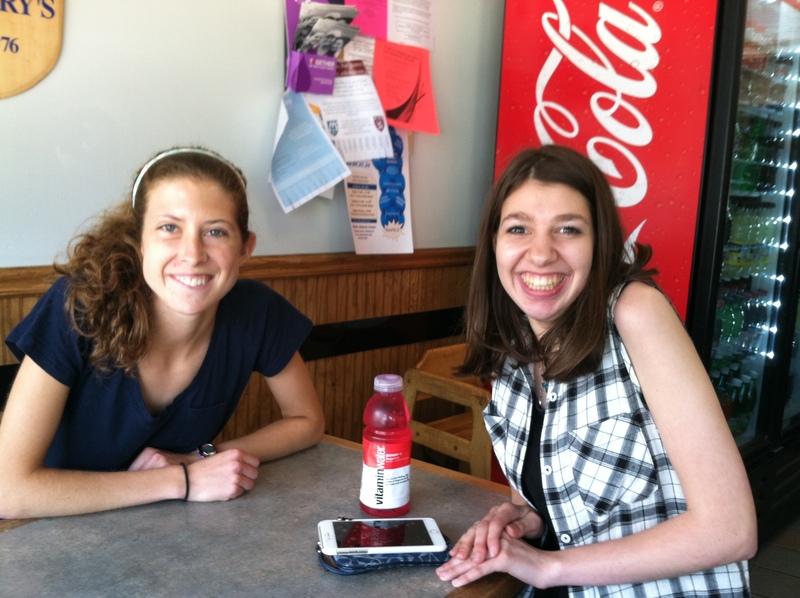 In the future, the page will become an important place for people like Sam, who can feel very alone, to connect with other users of augmentative communication and share information about having and using a voice from VocaliD. In fact, most of the recipients of pre-orders during our campaign have been children or teenagers. The opportunity for somebody still young to be able to speak with their own voice is a wonderful thing to witness, and part of VocaliD’s service is that as your voice changes with age, the custom voice is updated to match these changes and always sound like you. Most of our past and current customers are young children, and that seems to be the demographic VocaliD most immediately affects. Hopefully the Tumblr page will allow for the sort of connecting between these young people that we hope. In working on marketing-related things, such as drafting and sending email campaigns, I’ve become privy to just how many businesses today use email marketing as their main method of customer relations. We’ve been using Mailchimp, for example, and now I look at all of my email subscriptions and notice just how many companies use Mailchimp. Email marketing is a staple today, especially for small businesses, and a great thing to have experience with, no matter what sort of business I may find myself in. As someone who has worked a variety of jobs since early high school, I tend to think not of how work differs from university life, but more the other way around. In studying Linguistics and being exposed to academic publishing and field research, that always seems the more magical, less accessible, somewhat intimidating world that undergrads seem to mean when they talk about the “real world.” Even more daunting is the prospect of leading a life as a composer, which inherently involves connection with the academic world (and a good amount of financial struggle), and can be called “work” only in the loosest sense of the word. Then again, that sort of thinking only reminds me that there aren’t really any such boundaries. My “world of work” this summer has been at a tech startup with a social mission, driven by donations from interested, generous people, and founded by a professor who underwent something of a STEM learning epiphany after some uplifting research findings. It blurs the lines between business and academia, something I often wish would happen to more of my university peers, and something I predict more of in the future business world. VocaliD, Inc. holds a very modern place in the business world. There is some amount of trouble capturing the operation in a succinct way, because paramount to VocaliD’s service to the augmentative and alternative communication (AAC) community is the data gathered from voice donors. The term “Socially-Oriented Company” has been getting thrown around more and more recently, and it is the most apt description of VocaliD’s nature, taking donated voices and using data from them to create ones for others in need. The office is located on the third floor of the old firehouse in downtown Belmont, with a Pilates studio directly below and an Italian restaurant at street level. I love the location. There are plenty of places to grab good food for lunch, and the Fitchburg line station is a short walk away. On cooler mornings I bike in, which takes under a half hour. I’ve been working alongside Rupal, the founder of the company, who is very easy to work with and a great supervisor. Most of my time this first week has been spent doing what I fully expected to be doing: examining, annotating, and editing speech data, in order to prepare it for the morphing algorithm VocaliD uses to create voices. However, we also launched a crowdfunding project on Indiegogo this week, and a lot of work went into designing and revising the campaign. I’ve also been writing portions of the various outreach emails that go out as part of the campaign and VocaliD’s business as usual. Going forward, tasks like these will continue to be part of my responsibilities this summer, so it looks like this internship will be getting me some interesting communications experience, from marketing to end users to forging relationships with other AAC companies. If this week has been any indication of how the rest of the summer will be, then interning at VocaliD will be an incredible way of satisfying my WOW goals. I have the opportunity to work in a field that bridges signal processing and phonetics, two things I am familiar with from my two majors; I’m getting exposed to audio programming and code writing in a vocational setting, helping me to gain an understanding of programming and its place in computational linguistics; and VocaliD’s work presents a major, tangible service to those whose voices literally aren’t heard, and so I’m helping to eliminate inequalities faced daily by the AAC community. Lastly, I’d like to talk about the logo and how well designed and appropriate it is, in addition to being tasteful and in line with current graphic design sensibilities. At first glance, it’s a “V”, standing for all things vocal. Upon closer looking, the overall shape of the V is remarkably similar to that of human vocal folds. The graphic also consists visually of a small V inside a larger one, representing the way VocaliD blends just a few seconds of vocalization from a recipient along with several hours of donor speech to create the final product. The way in which these are overlaid, with alternating horizontal lines, is also very similar to the way waveforms of human vowels look, with secondary peaks and troughs layered inside. A waveform from a stereo recording of a young girl. The logo has a whole lot of symbolism and information packed into it. It was partially designed by the founder herself, which is a great example of the interdisciplinary atmosphere of the whole team. This will, after all, be quite an interdisciplinary summer.